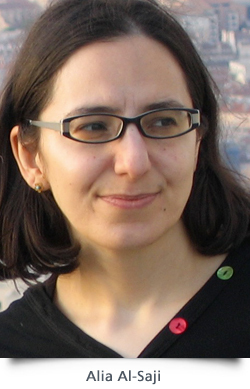 While women are omnipresent in the humanities and social sciences, they have long been severely underrepresented in philosophy, a fact that Alia Al-Saji, a researcher in McGill University’s Department of Philosophy, came to realize during a stay at the Université Catholique de Louvain, in Belgium, in the mid-1990s: not a single philosophy professor was a woman. Unsurprisingly, the philosophy curriculum paid little attention to the great philosophers’ often problematic views on women. Intersectionality grew out of a black feminist perspective and is concerned with situations where people are simultaneously subjected to multiple forms of oppression or discrimination. The intersectional feminist approach is not limited to gender: it extends to racism, heterosexism and transphobia. It recognizes that a woman is not just a woman: she can also be black, Muslim, lesbian, etc., and may therefore have to face several forms discrimination. This part of Alia Al-Saji’s research arises largely out of her own lived experiences. Originally from Iraq, she spent her youth in Baghdad, Great Britain and Kuwaït before moving to Canada in 1988, first to Ontario, and then to Québec in 2002. Her 2010 article on the subject, entitled The Racialization of Muslim Veils: A Philosophical Analysis, had a strong impact in a number of fields and is still frequently studied in the classroom.